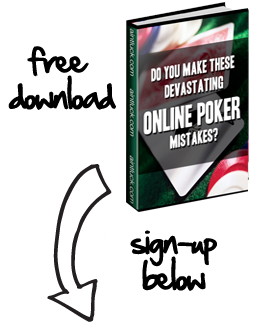 It used to be that online poker was a place for up and comers to hone in their poker skills. As time has passed and players evolve, the virtual card rooms are seeing larger and larger pots change hands. The reason is two-fold, real time pros are taking their games to the virtual felt and more of them are accumulating enormous bankrolls. Five weeks ago, on September 12th, a player named “Patatino” set the world record for the largest online pot won online with an astonishing $609,730 win. At the time, it seemed as though that record would stand for quite some time. Amazingly, since making the big score, “Patatino” record was beaten 3 separate times on Full Tilt Poker in one night this past week. The action at the high stakes no limit hold ‘em room called “RailHeaven” was hot and heavy as the game featured pros Phil Ivey, Tom “Durrr” Dwan, John Juanda, Gus Hanson and other. That record stood for over a month, but in one night, that record was not only overtaken, but overtaken three times. “Durrrr” was the first to eclipse the previous mark during a hand in which a player named “LarsLuzak” made a raise to $3000 and was called by only Durrr. The flop was 9c-5d-2s and Durrrr checked to the raiser LarsLuzak who fired out a of bet out $4,000. Durrrr instantaneously check-raised to $12,700 and after taking a few seconds, LarsLuzak made the call. The turn was the Ac and this time Durrrr led out betting $24,700. LarsLuzak made a rather quick call. At this point, the pot had ballooned to over $90,000. The river was a rather inconspicuous 7h and Durrrr again led out, this time betting $68,700. LarsLuzak thought for about 15 seconds before deciding to move all-in for $270,832.25 causing Durrr to go into the tank for almost a full minute. Not one to be intimidated by large bets, Durrr made the call Durrrr went into the tank for a bit but finally made the call. Durrrr showed Ad-9d for top two pair while LarsLuzak showed 6d-4s for a total stone cold bluff. The big time call enabled Durrrr to rake in the $617,968 pot and Durrr was the new record holder. Perhaps quite amazingly, his record was not to stand for very long. John Juanda, a true poker superstar would collide with Durrr a short time later. Juanda made a preflop raise to $14,500 and Durrrr quickly reraised to $43,800. After taking about 10 seconds to ponder his next move, Juanda three-bet to $137,400 and Durrrr insta-shoved for $338,503.50. Without any sign of hesitation Juanda made the call. It was a classic Aces vs. Kings scenario as Durrrr held the rockets and Juanda held the Kings. The flop was Q-6-4 rainbow and Durrrr was on his way to taking down his second monster pot of the session while breaking his own record. The turn was a harmless Jack but it wasn’t meant to be for Durrr as the river King enabled Juanda to take down the $678,069 pot and the new world record. Well, this wasn’t meant to be for the new record holder. Just 3 hours later, Durrr found himself in the middle of another historic pot. Di “Urindanger” Dang tangled with Durrr this time. Dang reraised durrrr to $45,000 preflop and Durrr made the call. On a flop of 5c-9h-4h, Dang bet out $52,700 and Durrr snap-raised to $139,500. Without any hesitation whatsoever, Dang moved all-in for $314,970.50 total and Durrr, just as quickly made the call. As luck would have it, this time, Durrr had the Kings while Urindanger held the Aces. The turn was the 3d, which actually gave Dang a wheel draw to go with his aces. Durrrr was unable to hit a miracle king and Dang pulled in a $723,938 pot, the last record-breaking pot of the session. These enormous pots had caused Dwan to be down over $1.4 million but after several hours, he was able to claw his way back to break even. Meanwhile, the slow and steady Ivey methodically played his way to an $800,000 win on the night. On the opposite end of the spectrum was a player named “elmariachimacho” who finished the session down $800,000. The session is being discussed heavily on poker forums throughout the Internet and is already going down as the greatest session in the history of online poker.